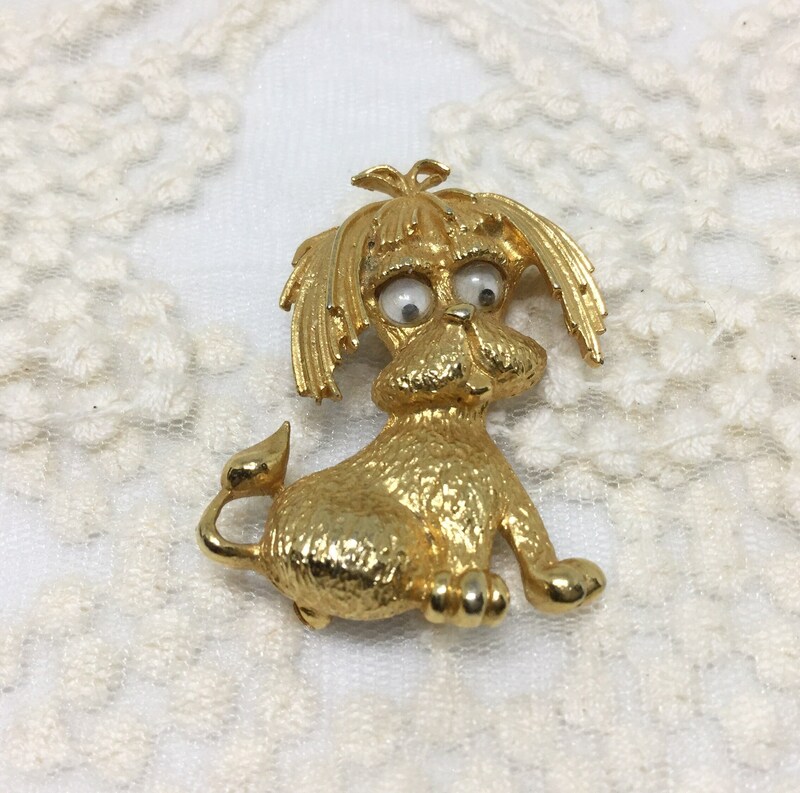 This is a real cutie vintage Park Lane signed goldtone googly eyed dog brooch. 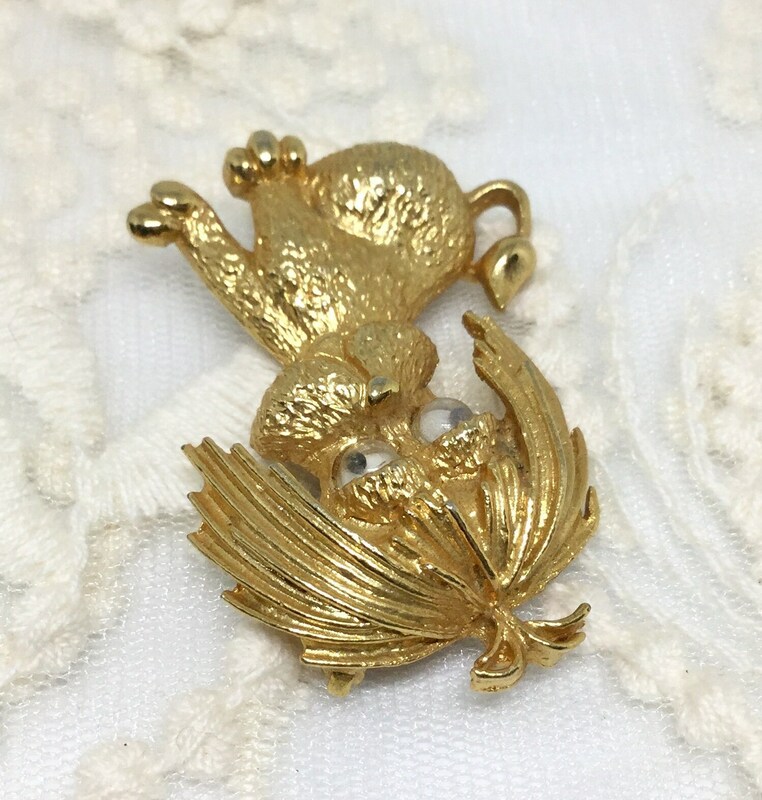 This figural brooch is probably from the 70s or 80s. 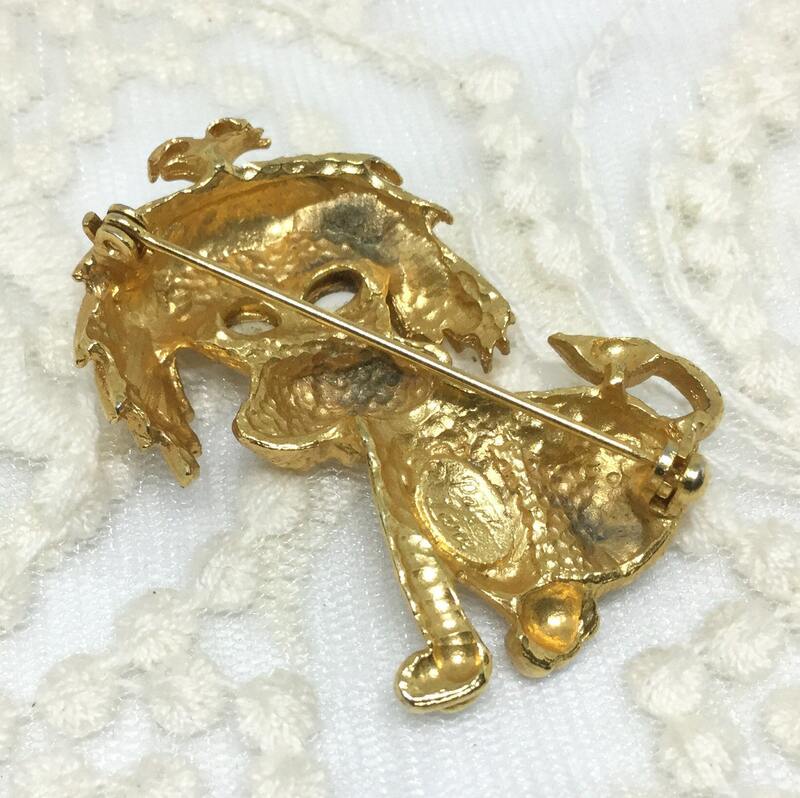 It measures 1 5/8” x 1 1/4” and the pin closure is straight and works smoothly and securely. 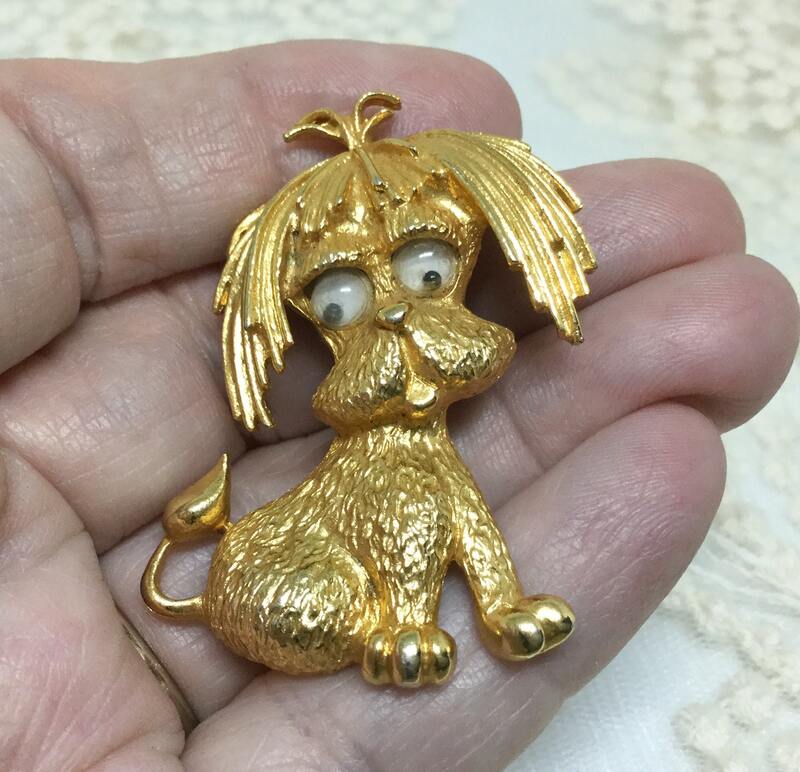 It is in good vintage condition and a sweet addition to a vintage dog collection. 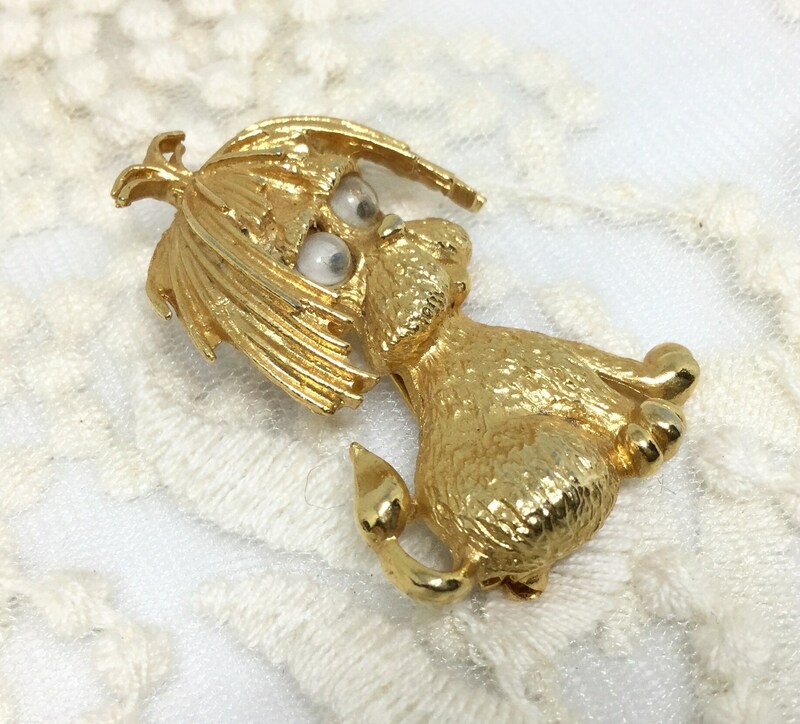 Would be cute on a backpack or for a brooch picture!